36" Curved Glass - Dual Access 4 Cu. 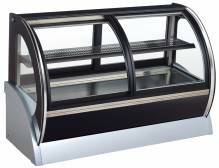 Ft.
Optimize the space you have with one of our counter top refrigerated display cases! 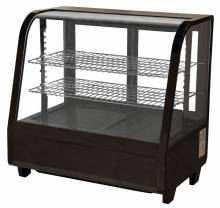 These are the perfect addition for your establishment, as they fill unneeded space! 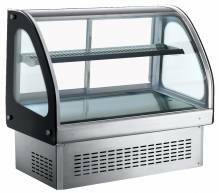 Counter top refrigerated showcases allow you to display your products at the temperatures they need to be in to stay fresh! These commercial merchandisers will increase sales and decrease labour costs, as the products are in full display for all to see! 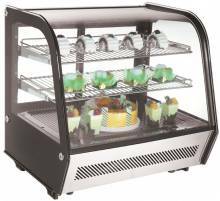 Available in stainless steel and varying in capacity, temperature and sizes. 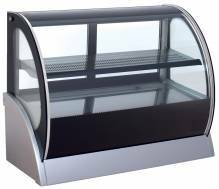 Some of our display cases have sliding doors in the front and back, which allows for easy customer accessibility. 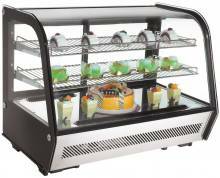 Perfect for delis, bakeries, grocery stores and restaurants, show off your products for all to see!